To give you all a bit more insight on my education... I am currently obtaining my A.A.S in Business Administration at the community college close to home. Some courses I take online and some I go on campus for night classes. This coming fall term will be my last semester before I can submit my transcript for review to receive my Associates diploma. Once I have completed with my Associates degree, I plan to transfer to a university to get my Bachelors in Business Management. Okay enough of the boring stuff! I just thought I would share a bit of what's going on in my Monday this week! 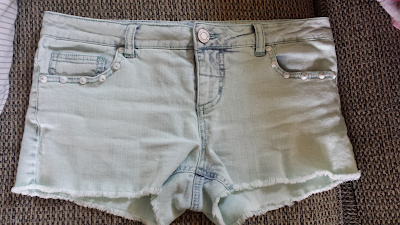 Inspired by my new mint colored shorts my awesome husband bought for me... I decided to polish my nails a pastel color this week. 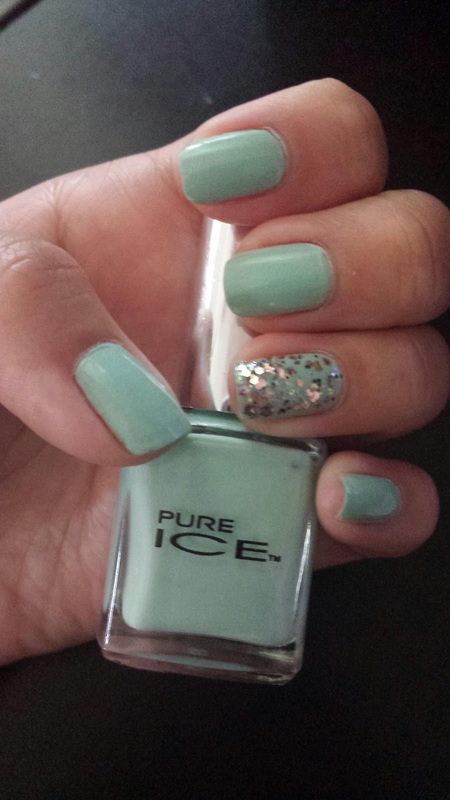 Nail polish is by Pure Ice (I've had this polish for quite some time and the label came off, now I forgot what it is called). 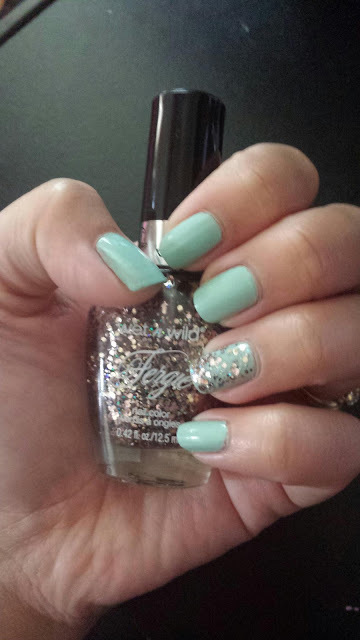 The glitter I used for my accent nail is by Fergie call Flossy Flossy. Both nail polishes were purchased by me at Walmart.